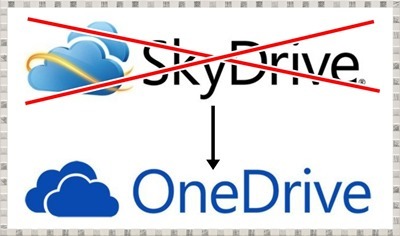 OneDrive is the new Microsoft SkyDrive. Apart from the name change, a couple of new features have also been added. Now, documents that you share with people (like spreadsheets etc.) with other OneDrive users can be edited in real time by multiple users – you can actually see the changes being made by other users on your document while the document is open in your web browser. This is a much welcome feature that was never present on SkyDrive earlier. Teamwork becomes much easier with this update. Alright, let’s talk about the stuff that has changed, and the stuff that hasn’t changed in more detail. I did a bit of research online, and it’s actually pretty funny to know why Microsoft suddenly decided to change the name of SkyDrive. Microsoft was actually sued by Sky TV provider in the UK for breaching its trademark, and following a high court ruling, it was decided that because of breaching BSkyB’s trademark rights, Microsoft had to rename the service or shut it down. Well apparently Microsoft promised to change the name within a reasonable period of time, and that’s what happened. 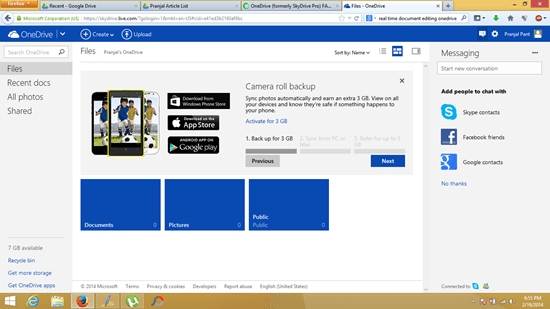 So why the name OneDrive? I don’t really know, but maybe it has got to do something with offering the capability to store all kinds of documents into one location or one drive – hence OneDrive. Maybe it’s also because of the new “One” line of products that Microsoft has been bringing up- like the Xbox One. But who really knows! + The name, of course. + A small change, but now you can change your status from Available to Invisible from the Drive page itself. See below screenshot when I click my name on the top right, I get the options to change my status. 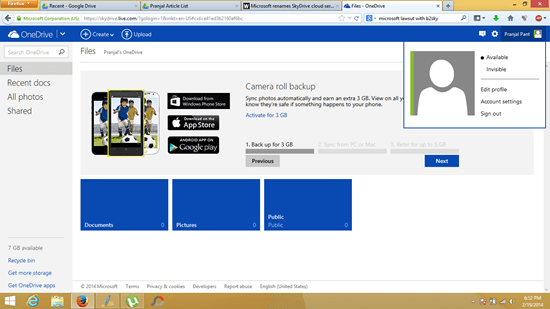 + You can now chat with online users from OneDrive itself. Click on the message button, and a chat box opens up at the right side of the screen. This box also allows you to link your Facebook, Skype etc. accounts to chat with people online on those accounts. Pretty neat feature, so you can chat with your Facebook friends while still staying inside the OneDrive interface! The below screenshot illustrates the chat box. + People can edit your documents in real time! Also, people with non Microsoft accounts can be invited to edit the documents in real time. Now with this feature, Microsoft has really killed Google Drive as Google Drive only allows editing documents by people who have an account on Google. See the screenshot below to know how people can be invited to edit a document. The above box appears when you choose to share your document. Click Share after adding the email id. 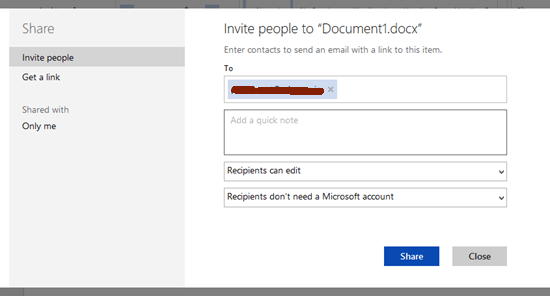 + With the new OneDrive, it’s incredibly easy to allow people even without email ids to edit your document. For this, click on Get a Link in the above screenshot towards the left. Just ask the person who wishes to edit to copy and paste that link in the browser, and he’ll be able to edit the document. Make sure that the option to allow editing is checked before you click Generate Link. Well, this pretty much sums up the new features. To demonstrate this feature, I opened up two browser windows, and I input some text in the right window and some in the left. I could see exactly where the other person’s cursor was, and what’s more, I could actually see the letters being typed in the window where I wasn’t actually typing anything. This shows the true advancement in real time editing technology that Microsoft has implemented in the new SkyDrive, or should I say, the OneDrive. + The interface is the same. + You get the same 7 GB of signup storage space. Apart from the standard web browser support, the app has made its way on the Android Play Store and the iOS App Market. An update for the preinstalled SkyDrive App is on the way for Windows 8, Windows 8.1 and Windows Phone OS. Do you know your personal information safe on facebook? Get 50 GB FREE on iPad and iPhone. Get Your Box Now.